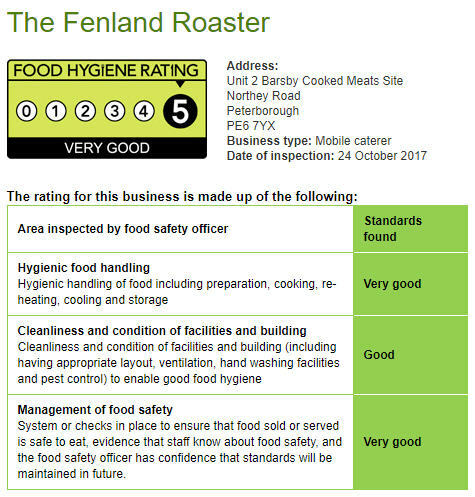 Whatever the type of function or event, the Fenland Roaster has the catering service you need. Whether it’s a birthday party, wedding anniversary, leaving do or other event, we take care of providing great food so you can concentrate on making sure everyone has a great time. Your event will be unique to you, so why get stuck with standard off-the-shelf menus? We put together suggestions bespoke to your requirements, so please contact us to discuss what you have in mind and let’s talk through some options. Then we’ll send you a proposal and quotation for you to consider. Start now by taking a look at some of the different styles of catering we offer below. Classic BBQ. Quality burgers, butcher’s sausages, chicken kebab skewers, spare ribs and pulled or carved pork joint. Vegetarian options. Including vegetable burgers, roasted veg tartlets and Mediterranean roasted vegetables. Business buffet catering. Your choice of finger food from a wide range of options: please contact us for our latest menus. Choice of sides. New, baked or roast potatoes, coleslaw, salsa and homemade salads, including fresh garden salad, crunchy veg salad with yoghurt and mint, pasta salad, and roasted veg and rice salad. Drinks. We usually recommend you supply your own alcohol and soft drinks, and we can serve them to your guests. Finishing touches. Canapes, desserts, tea and locally roasted fresh filter coffee, popcorn machine, traditional ice cream cart. Plates and cutlery. Your choice of quality crockery and silverware, or disposable plates and cutlery for a more informal feel. Service options. Most customers opt for self-service for their parties and other functions, but we can supply full table service as a nice extra touch. Chef’s specials. If you want to include something a bit special or different in your event catering please ask: we always have great ideas about dishes with that ‘wow factor’. Every event we cater for is different, so we prefer to provide bespoke quotations for every enquiry we receive. Prices typically range from £7.50 to £22.50 per head for our parties and function catering, depending on menu options and the size of the event. (Prices subject to VAT.) Payment can be made via electronic transfer or via credit/debit cards, including by phone.